Pregnant women who are at risk of pre-eclampsia could substantially lower the chances of premature delivery by taking a daily dose of aspirin, research has found. A low dose of the drug taken throughout pregnancy more than halved the chances of a premature birth due to pre-eclampsia. The doctor leading the work, Prof Kypros Nicolaides, called for better screening methods and for all women at risk of the condition to be routinely prescribed the drug as a preventative measure. The condition, which causes dangerously high blood pressure and is a leading cause of maternal death, occurs in about 8% of pregnancies, with a quarter of cases being severe. The condition is more common in first-time mothers, those who are overweight, diabetic or already have high blood pressure. The study, published in the New England Journal of Medicine, screened 26,941 women in the early stages of pregnancy across 13 hospitals in Europe and Israel to identify those at high risk of pre-eclampsia. Of the 1,776 women deemed at high risk, half were assigned to a placebo group and half were given a daily dose of 150mg of aspirin for the duration of their pregnancy (typically from 11-14 weeks onwards). Pre-eclampsia led to premature birth before 37 weeks in 13 women in the aspirin group, compared to 35 in the placebo group – a 62% reduction. The more severe form of pre-eclampsia, which led to premature birth before 34 weeks, occurred in 15 women in the placebo group compared to three in the aspirin group. Aspirin is already recommended by UK and US guidelines for those at high risk of pre-eclampsia, but Nicolaides said that the standard screening tools only identify about 40% of those at risk. The latest study combined the existing method, based on blood tests and known risk factors, with the results of a new form of ultrasound scan, designed to assess the blood flow from the mother to baby. “By adding ultrasound measures and simple blood tests, we identified over 90% of cases of severe pre-eclampsia,” he said. The findings also suggest that aspirin treatment should start earlier in pregnancy than current guidelines and at a higher dose. Pre-eclampsia causes blood flow through the placenta to be reduced, restricting delivery of oxygen and nutrients from mother to baby. 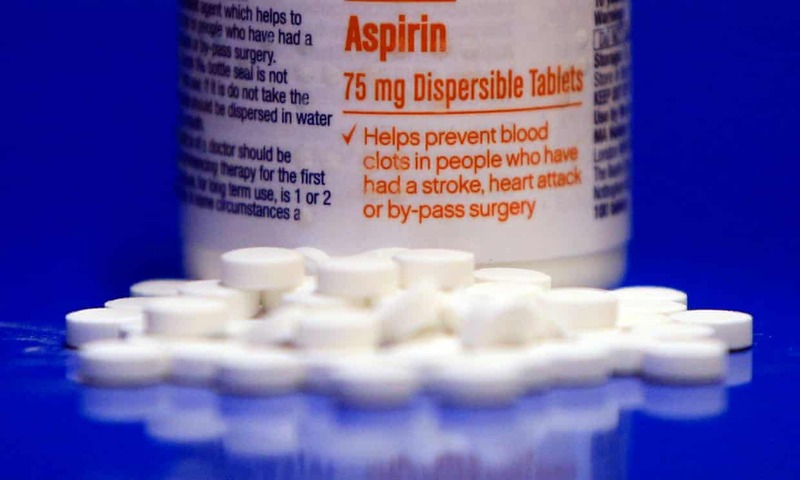 It is thought that aspirin works by preventing the condition from occurring in the first place, rather than treating it.